Few issues have instigated as much controversy in the field of international criminal justice as the question of where International Criminal Court (ICC) indictees should be brought to justice. The majority of attention has been focused on instances when states seek to prosecute ICC indictees domestically and challenge the Court’s jurisdiction. Much less attention has been paid to cases when states choose to ‘outsource’ the trial and prosecution of some individuals to the ICC. In some cases, where to try ICC indictees seems generally unproblematic. For example, in the Democratic Republic of Congo or the Central African Republic, the virtual lack of anything approximating a functioning and impartial judicial system makes the necessity of trying and prosecuting ICC indictees in The Hague uncontroversial. But other cases, especially states emerging from periods of conflict and which have begun to consolidate democratic and judicial institutions, are another – and much less clear – story altogether. To varying degrees, states like Uganda, Libya and Ivory Coast have emerged from the periods of violence and mass atrocity that instigated ICC intervention. Again, to very varying degrees, they have institutions which may be capable of investigating and prosecuting international crimes. Still, for some individual perpetrators, some states seem to believe that the ICC remains a better option. An important yet seldom asked question thus arises: if a state is able to investigate and prosecute but, for whatever reason, doesn’t want to prosecute particular individuals, should it be able to outsource justice to the ICC? The answer to this question rests on the issue of complementarity which, as a principle and practice, is understood as granting the ICC the ability to investigate and prosecute individuals only in those states which are unable and unwilling to do so themselves. Put another way, it is, first and foremost, the responsibility of states to investigate and prosecute individuals allegedly responsible for atrocity crimes. When the state in question fails to do so, then the ICC may be granted or assert its jurisdiction. The brevity of the principle of complementarity, however, betrays its complexity in practice. It isn’t particularly easy to follow which conception of ‘complementarity’ is being followed at the ICC these days. Take a look across its cases and it is difficult to see a cohesive and consistent application of what “ability” and “willingness” amount to. In some cases, such as Kenya, only the most rigid standard applies, whereby the state must show that it is able and willing to investigate and prosecute the same individuals for the same crimes as those by the ICC. In the Ugandan case, it isn’t clear that the Museveni government was ever unable or unwilling to try LRA commanders. Rather, the government’s problem was that the LRA’s senior command was no longer in Uganda itself and thus couldn’t be arrested. In Libya, the ICC’s Office of the Prosecutor (OTP) has appeared remarkably lenient towards Libya’s demands to try Saif al-Islam Gaddafi and Abdullah al-Senussi, siding with the government’s claim that it is able to investigate and prosecute ICC indictees domestically. It was telling that in the Libyan case, the Court’s defense counsel claimed that the Office of the Prosecutor (OTP) was applying double standards in its use of complementarity. It would come as no surprise if similar arguments are brought up by defense counsel other cases in the future. But what of this issue of ‘outsourcing’ justice? Let us consider two cases where this seems to be occurring. At a recent conference, I had the opportunity to ask Uganda’s State Minister for Justice and Deputy Attorney General, Frederic Ruhindi, where LRA leader Joseph Kony would be tried if he was captured. 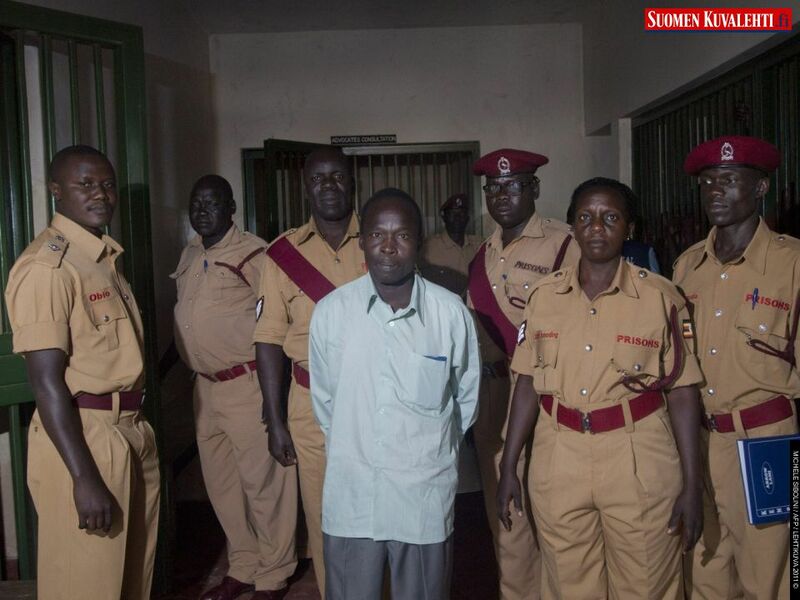 Ruhindi spoke eloquently about the creation of the International Crimes Division (ICD) of Uganda’s High Court which has begun the process of indicting senior LRA commanders, including Thomas Kwoyelo. Of course, the work of the ICD has been neither smooth nor uncontroversial (see here and here). But, as a product of the Juba Peace Negotiations (2006-2008), the ICD was envisioned as an institution which could demonstrate that Uganda was able to prosecute LRA commanders domestically – perhaps even Joseph Kony himself. Despite the existence of the ICD, however, Ruhindi responded that Kony would be sent to the ICC for trial. At the same time, he added that he was fully confident that the notorious LRA leader could also be tried domestically in Ugandan courts. In short, Uganda is confident that it is able and willing to prosecute Kony but would nevertheless give him up to the ICC if the opportunity arose. Something similar appears to be occurring in the Ivory Coast. In November 2011, former President, Laurent Gbagbo was shipped off the ICC where he is expected to go on trial in the coming months for his role in the 2010-11 post-election violence. At the same time, under the government of Alassane Ouattara, the Ivory Coast has begun the process of putting other key human rights violators on trial. Earlier this month, the country’s military tribunal began the process of trying former senior members of the Gbagbo government and five Gbagbo loyalists have already been sentenced for the kidnapping and murder of a colonel. Of course, the process has been far from perfect. Post-conflict justice in the Ivory Coast has been one-sided with impunity being granted to alleged perpetrators loyal to the Ouattara camp. Yet, the creation of an active military tribunal would still seem to demonstrate that Ivory Coast is both willing and able to prosecute perpetrators of mass atrocity – at least those on Gbagbo’s side. In this context, it would seem that the Ouattara government simply outsourced the investigation and prosecution of Gbagbo to the ICC. Outsourcing Justice: Legal and Legitimate – or Not? On some level, outsourcing justice seems unproblematic. After all, it is an inherent feature of the principle of complementarity that those states which are unable and unwilling to investigate or prosecute violators of international criminal law outsource it to the ICC. Any proponent of the Court accepts this premise. Still, this process becomes more problematic when states are demonstratively both willing and able to investigate and prosecute but don’t want to. Of course, states can argue that they are unwilling to prosecute specific individuals, such as Ivory Coast with Gbagbo or Uganda with Kony, and thus send them to The Hague while others are tried domestically. In this case, a state’s willingness is tied to specific individuals rather than to the judicial system as a whole. The state can thus ‘pick and choose’ who it tries and prosecutes and outsource others to the ICC. It may therefore be legally sound for a state to argue that it is can prosecute some – but not all – perpetrators. It is important to remember that prosecuting high profile figures such as a rebel leader or a former head of state, is a completely different kettle of fish than prosecuting lower ranking individuals. There may be, for example, a real possibility that trying Gbagbo domestically would instigate or renew violence and instability. Such a scenario could have significant implications on the possibility to hold a fair trial. In such cases, it could be legitimate for a state to argue that it was unable to hold an independent and legitimate trial and therefore that the ICC should take the case. But should the ICC accept such cases? It seems to me that selective unwillingness to try and prosecute some individuals but not others may go against the spirit of complementarity. So far as I can tell, complementarity was never intended to allow the ICC to prosecute specific individuals when states could do so themselves but decide not to. It also seems to undermine the notion that states, in the first instance, should be supported in investigating and prosecuting individuals domestically and that the ‘international community’, including the ICC, should support and enhance their capacity to do so. Moreover, such outsourcing may also have more direct political implications. 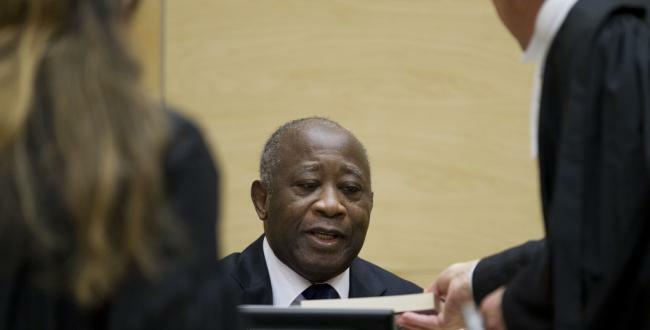 In Ivory Coast, for example, the fact that only Gbagbo was sent to the ICC has reinforced claims of victor’s justice. Such claims are certain to be levied by critics against both the Ivorian government and the Court. But perhaps there is more to this story than meets the eye. Perhaps such outsourcing was a foreseeable, necessary and legitimate development in international criminal justice. As always, I am very keen to know what readers think. This entry was posted in Complementarity, ICC Prosecutor, International Criminal Court (ICC), International Law, Ivory Coast / Côte d'Ivoire, Ivory Coast and the ICC, Lord's Resistance Army (LRA), Uganda. Bookmark the permalink. 6 Responses to Outsourcing Justice to the ICC – What Should Be Done? Thank you for the post on this very interesting topic of complementarity. It is indeed more complex in practice than the stated principle suggests. I will focus on the question you raise on whether a state should be able to outsource justice to the ICC if it doesn’t want to prosecute a particular individual. It seems to me that the novelty of prosecutions for international crimes both locally (heightened awareness of states on their obligations so to act) and internationally (at the ICC) must be considered. Here we have a “new” institution – the ICC, which needed to start working and there are states – initially Uganda, DRC and CAR now also Côte d’Ivoire that are willing to cede their criminal jurisdiction over certain individuals to the ICC for a variety of reasons. I agree that there is not a uniform interpretation of unwillingness and inability from the emerging ICC jurisprudence and that the national judicial system is to be considered in such assessments. However, an understanding of Art 17(2) Rome Statute is that the consideration for unwillingness focuses on the individual who is to be or has been brought to justice for the crimes within the ICC’s jurisdiction and not entirely on the national judicial system as in the case for inability. In this sense, a state can justify why it wishes to have its national tried at the ICC – judicial outsourcing (not so elegant a term) even though it may have the capacity or increasing capacity to try its own national for these crimes. Perhaps without meaning to, the international community appears to have created indirect precedents for ‘ICC outsourcing’ through the practice of the two 1990s ad hoc tribunals. On one hand, the ICTR attracted controversy by applying more protective procedural standards (and lenient sentencing) to the big fish in the Rwandan genocide than the ‘gacaca’ process meted out to all those not deemed worthy of attention in Kigali. Similarly, the ICTY is now winding up by seeking to ensure the capacity of Yugoslav successor states to try the lower and mid-level suspects left over after all the high-profile trials in the Hague. It might be interesting to see if this type of ‘reverse outsourcing’ proved to be politically expedient in a manner similar to that in which the new ICC outsourcing is apparently perceived to be. Normally your analysis is spot on, but here you seem to have fallen prey to an all too common misperception of complementarity. You start with the premise that complementarity is about willingness or ability, but that’s only the second prong of the test (and it relates to “genuinely” not just to “investigate or prosecute”). The first prong is whether there is an investigation or prosecution, and this is where the ICC cases have consistently come down. The Kenya case for instance had nothing to do with willingness or ability. Many thanks for all of the interesting and thoughtful comments. For the moment, I will simply say that I need to do more research on this subject and hope to write another post on the subject. DK: I’m very appreciative of the suggestion to read Robinson’s article on the subject and look forward to doing so. As you seem to suggest, I was not as certain with my analysis on this post as with others but I am happy that I wrote it, as it has given me the opportunity to expand my knowledge through your very helpful comment.